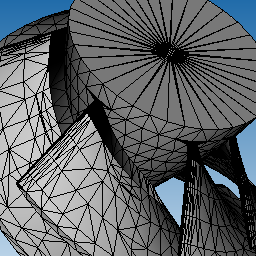 CAD Exchanger SDK can be used to generate meshes from B-Rep representations, either retrieved from imported files (e.g. from IGES, STEP, ACIS, Parasolid) or from created directly inside a user's application. CAD Exchanger supports the so called visualization mesher as well as computational meshers. The former generates meshes that can be primarily used for visualization and simple computing purposes (e.g. bounding boxes, approximated surface area computing, collision detection, etc). 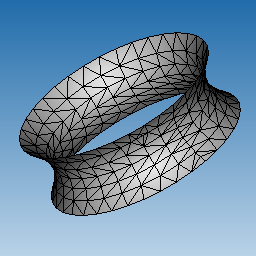 The latter generate high quality meshes that can be used in various FEA (Finite-Element Analysis) computations. 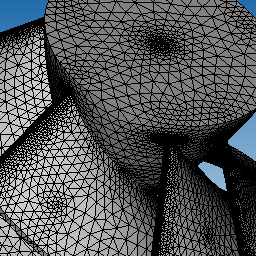 CAD Exchanger can also generate 3D (volumic) meshes. 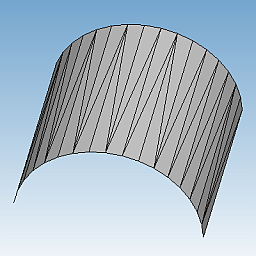 However they can only be saved into specific target mesh formats, and not inside CAD Exchanger's data model. CAD Exchanger itself intensively uses visualization mesher when creating polygonal representations from B-Rep, or when exporting to mesh formats (such as STL, VRML or X3D). 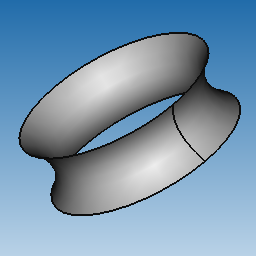 for a particular solid or sheet body. The following examples demonstrates applying the visualization mesher at different levels. Visualization mesh has a form of triangulation and is primarily fitted for visualization and other purposes (e.g. calculation of a bounding box of the model). CAD Exchanger GUI application uses visualization mesh to display shaded presentations of the model in 3D views. Computed triangulation is stored internally inside the B-Rep faces (ModelData_Face). 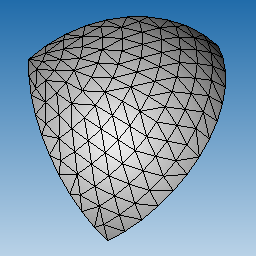 Number and size of triangles in visualization mesh depend on the requested precision defined either via ModelAlgo_BRepMesherParameters::SetGranularity() using the ModelAlgo_BRepMesherParameters::Granularity enumeration value or via direct setting (ModelAlgo_BRepMesherParameters::SetChordalDeflection()). The finer the requested precision the longer it takes to produce the mesh and the greater memory footprint it will have. On 32 bit systems, requesting too fine precision for medium and complex models may result in a memory footprint exceeding available virtual memory and hence in application's forced termination. In most cases, default precision value should be sufficient. 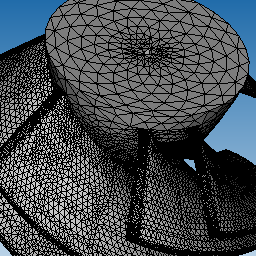 If the flag GetUVCoordinates() is set to true then the visualization mesher will retrieve UV coordinates of mesh nodes in parametric domain of each surface and store them in resulting ModelData_IndexedTriangleSet. This only applies if the flag MergeFaceSets() is set to false, i.e. no stitching of triangle sets is performed. 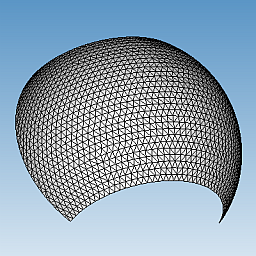 Mesh generation is a heavy-computational task and depending on model complexity and requested precision may take significant time. If the parameter Base_Settings::Common_ConcurrentMode is true, then on multi-core processor systems, the algorithm will try to run in parallel. However scalability will depend on model structure and unbalanced workloads are possible. 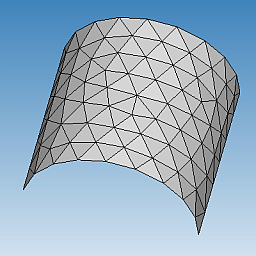 Computational mesh can be used for finite element analysis and other computations. To generate a computational mesh instead of visualization the computational mesher algorithm should be specified in the parameters objects set in the ModelAlgo_BRepMesher. If the B-Rep shape does not have an internal triangulation, then Compute() will first invoke a visualization mesher prior to invoking the computational mesher. For details on computational meshers refer to Computational meshers. B-Rep faces are tessellated and internal points are mapped to mesh nodes. 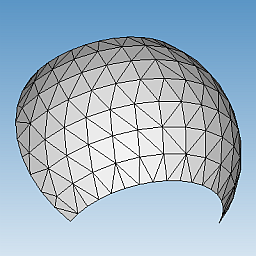 This allows to have water-tight meshes along the shared B-Rep edges and ensures that any B-Rep vertex is mapped to a mesh node. The policy of edge discretization and face tessellation is determined by each mesher and its parameters. Each B-Rep face initially maps to one triangle set (ModelData_IndexedTriangleSet). Triangle sets can be then stitched (merged) together as explained below. If ModelAlgo_BRepMesherParameters::MergeFaceSets() is set to true (by default), then triangle sets (ModelData_IndexedTriangleSet) resulting from B-Rep faces of the same body will be merged into one ModelData_IndexedTriangleSet. This allows to get a single triangle set for entire solid and thus to have a water-tight triangulation. Otherwise there will be as many ModelData_IndexedTriangleSet's as there are faces in the original B-Rep body. For sheet bodies stitching will be done inside each shell and standalone face of the body. 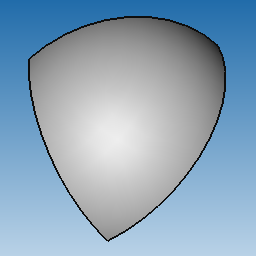 During meshing triangle sets will inherit appearance settings associated with the original B-Rep faces (see ModelData_BRepRepresentation::Appearance()). When merging triangle sets with different appearance settings will be put into different groups. Thus, if a solid box had 3 different colors associated with its child faces then the resulting polygonal representation will have at least 3 triangle sets, even if ModelAlgo_BRepMesherParameters::MergeFaceSets() is set to true. To ensure merging into a single triangle set either do not associate colors to faces or to invoke ModelAlgo_BRepMesher::Compute() for ModelData_Body (which does not store appearances).